An Ontario woman is hoping to launch a class-action lawsuit against the federal government for pulling funding from the Trudeau-era youth program Katimavik. 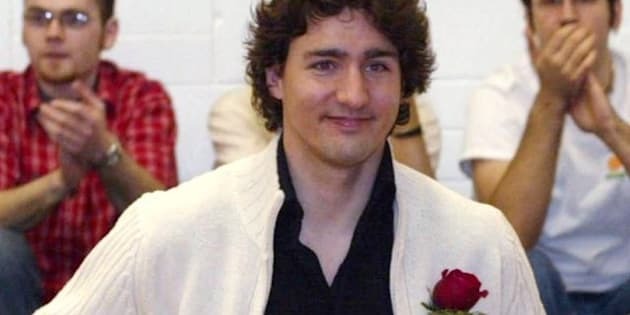 "The Conservatives left 600 youth who had been selected to participate in the program in a lurch as well as the non-profit organizations who were looking forward to the volunteer hours," St. Catharines, Ont., resident Colleen Cleve told The Huffington Post Canada Friday. Heritage Minister James Moore has said the $14 million price tag for the program wasn't justified, leading the Tories to cut funding in their March budget. "Katimavik had a cost of over $28,000 per participant and a one-third dropout rate," Moore said in the House of Commons in April. "As Minister of Canadian Heritage and Official Languages, I have to make difficult decisions and easy decisions. Ending funding for Katimavik is one of the easiest decisions I have ever made." That comment mobilized Katimavik's alumni and supporters who have led protests and started petitions and Facebook groups hoping that powerful testimony from former participants may make the the government recognize the value of the program. Cleve's two children were supposed to join Katimavik this July and volunteer in different communities across the country, but their plans for the next six months were thrown into limbo by the government's decision. Melanie, 20, a finishing student at Niagara College was lucky to get her old summer job back at MarineLand, her mother said. While her 17-year-old son Erik decided to go back to high school for an extra semester after missing application deadlines for college and university. "I feel that because of the government's decision to (cut Katimavik's funding) my children are, I wouldn't say exactly wasting the next six months, but perhaps not using them in the best way that they possibly could," she told HuffPost. Cleve, who openly admits she voted for the Conservative Party last May, said she won't make that mistake a second time. "I will never vote Conservative again," she said. A legal assistant, Cleve has decided to channel her anger against the Tories into a class action lawsuit. She believes she may have a breach of contract claim, since the federal government pulled out of a three-year funding agreement with Katimavik one year early. But she knows she's unlikely to win. "That's not my intention, my intention is to basically raise public awareness of what the government has done," she said. "So many people are not even aware of this program." Katimavik's marketing and communications director Victoria Salvador told HuffPost the court challenge is unlikely to be successful because the contract includes a standard notice clause. "The funding agreement did go until March 2013, but like all contracts there is always like a 90-day clause in them, so I'm not sure how much bite that is going to have," Salvador said. "We were definitely not expecting the government to use the 90-day clause unless, you know, civil war or something of that nature (happened)," she added. Katimavik is currently winding down operations for all projects affected by the cuts, although it is still hoping it can press forward without federal funding, Salvador said, noting several private partners have shown an interest in subsidizing the program. NDP MP Charmaine Borg said she hopes public pressure will force the Conservatives to reverse their decision. The young Quebec MP has introduced a motion, M-352, in the House of Commons calling on the government to restore Katimavik's funding and recognize the merits of the program, both for its young volunteers and for communities. Every day for more than a month, Borg has been placing testimonials from former Katimavik participants on the Heritage Minister's desk. Moore hasn't approached her about them, but she's not dissuaded. "This is a program that people really care about. It's not only about the kids, it's not only about the parents of the kids, it's about communities across the country, it's about national identity, it's about bilingualism, it's about helping people, it's about volunteerism, it's about all those things," she said. Borg thinks the class action lawsuit is an example of how frustrated people are with the government's decision. "If (Moore) feels that it wasn't fiscally responsible, and fiscally efficient, then maybe he can find ways to improve it, but he needs to wake up and realize that cutting the program on the fly without notice and not letting people go this summer is just unacceptable," she said. The Conservative government, however, shows no sign it will be persuaded to change course. "There is no basis for this claim," Moore's spokesman, James Maunder told HuffPost about the potential lawsuit. "There are countless opportunities for youth to volunteer in every community across Canada. Ending Katimavik is a responsible decision that will save taxpayers money while allowing us to support more effective, more affordable youth programs," Maunder said.